Quiet moments like this remind me that no matter what political storms blow, most are really only a temporary tempest that will fade into history. Even the most tempestuous gales eventually weaken. Things we hold most precious will survive! 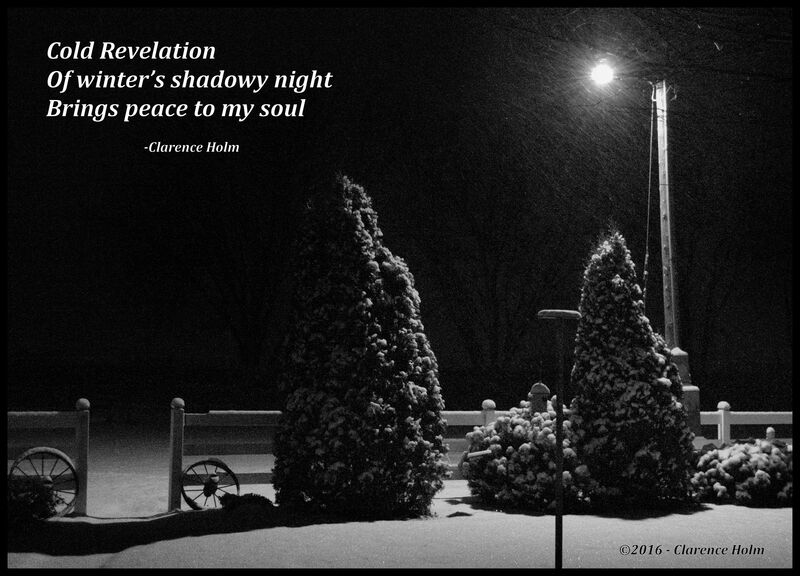 This entry was posted in Blog, Foolish thoughts, Holiday Memories, Photography, Poetry and tagged Haiku, Peace, Poetry, Snow, wind, Winter. Bookmark the permalink.